Techies Sphere: Export OVF or OVA templates in VMware vSphere Web Client or vSphere traditional Client. 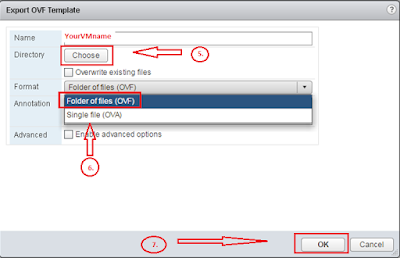 Export OVF or OVA templates in VMware vSphere Web Client or vSphere traditional Client. 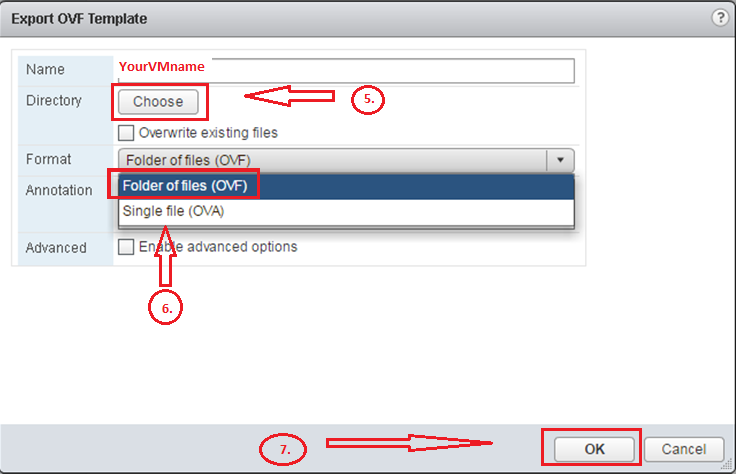 Or, How to Export OVF or OVA template in VMware vSphere? Or, Exporting OVF or OVA template in VMware vSphere. There are very minor difference between the way of exporting OVF templates using vSphere Web Client and vSphere Traditional Client. Both are given below with screenshot for your easy reference. If you are willing to know the difference between these two template files type (OVA and OVF), please refer my another article What is difference between OVF and OVA Templates in VMware. Please Note: You must have the VM in shutdown/powered off status to be able to export OVF or OVA template of the particular Virtual Machine. Login to vSphere Web Console > Go to Home > Click on VMs and Templates > Select the Powered Off VM you need > Go to Action Menu > Go to Template Option> Choose Export OVF Template > Choose the template types you need (OVA or OVF) > Choose the Directory Path where you want this file to be exported > Click OK > Wait for the OVA/OVF export process to be completed. For GUI view, please refer the below screenshots with sequential steps. Login to vSphere Client > Go to File Menu > Go to Export > Choose Export OVF Template > Choose the template types you need (OVA or OVF) > Choose the Directory Path where you want this file to be exported > Click OK > Wait for the OVA/OVF export process to be completed. Cheers!! Please write me back if you have any query or feedback.. I admire the valuable information you offer in your articles. I will bookmark your blog and have my friends check up here often. I am quite sure they will learn lots of new stuff here than anybody else! Regards vmware jobs in hyderabad. Thanks a lot for your feedback.. 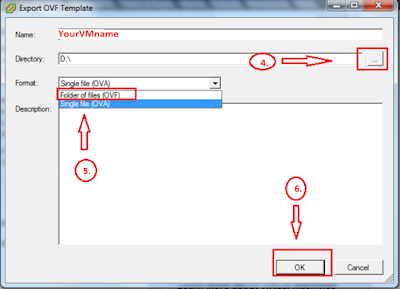 Readers like you always encourage techiessphere to write more useful, relevant and unique contents..
in 6.5, you can directly Click on the VM(should be in shutdown state), Go to template > Click on Export OVF template .... :) Hope this helps..